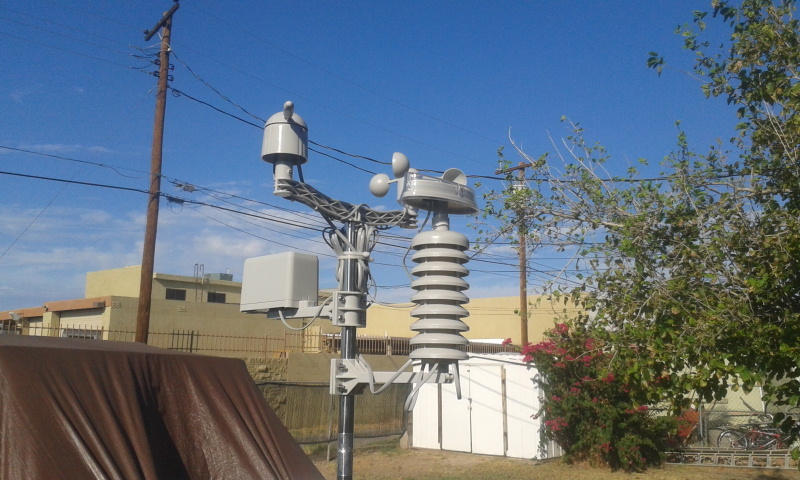 I installed a new weather station just off my back patio. 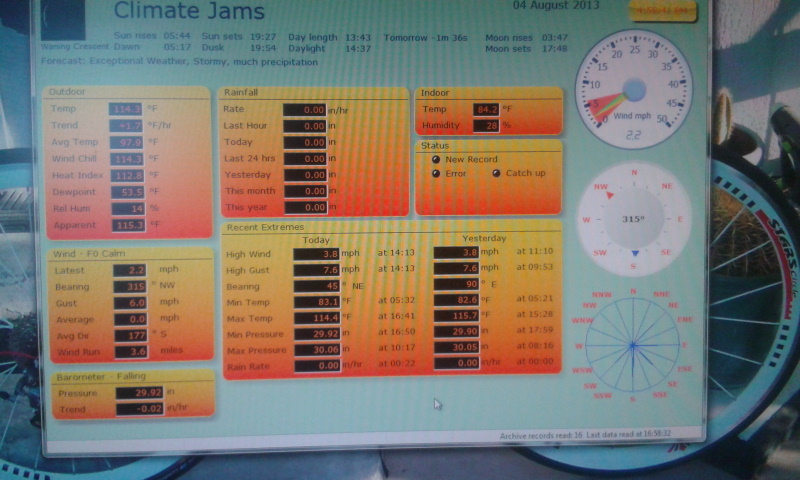 It is a fairly basic unit, wind, temp, humidity, pressure and rain. It radio’s to my PC which in turn posts it to my web site. It is updated every 5 minutes when my PC is on which is basically weekends and evenings. However it logs 24/7 so records are available anytime.